After the indulgent Christmas period, homemade soup is a great way to cut bank on your spending and serve up something a little bit lighter. 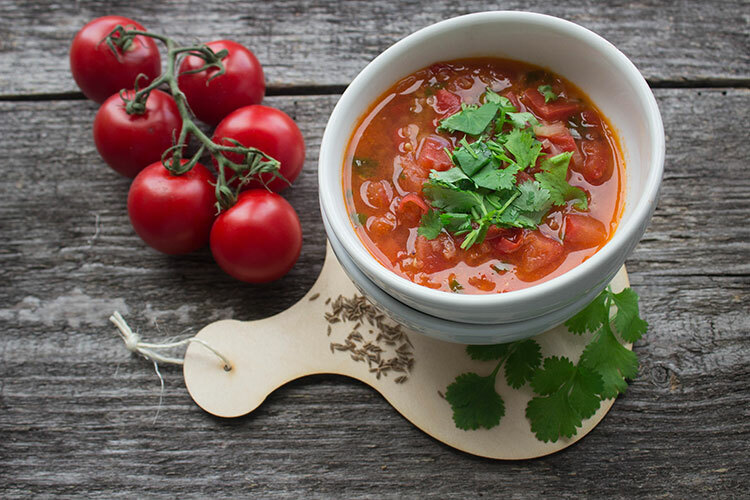 You may feel like you’ve spent enough time slaving over a hot stove these last few weeks but this list of soups are simple to make and are perfect for a healthy meal. This smooth and highly seasoned soup from Katy’s blog, Little Miss Meat Free, is a light and healthy vegan option; ideal for a detox after all that Christmas food! 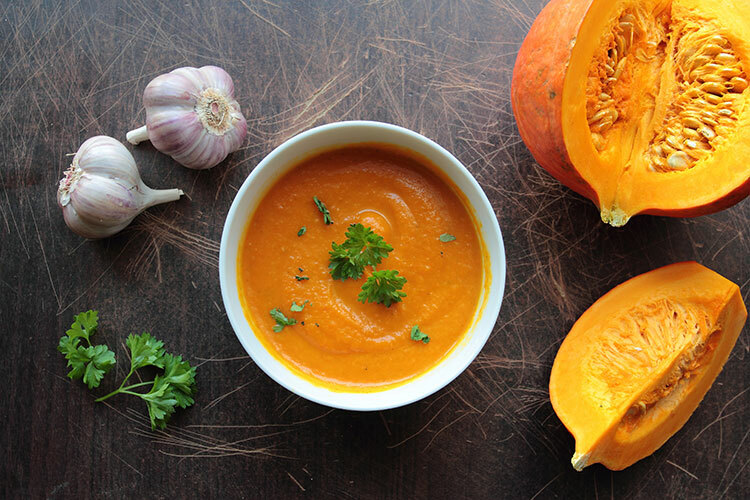 The roasted pumpkin and ginger complement each other beautifully for a light soup that’s full of flavour. This delicious soup from Bintu’s blog, Recipes from a Pantry, is fresh and healthy without compromising on flavour. 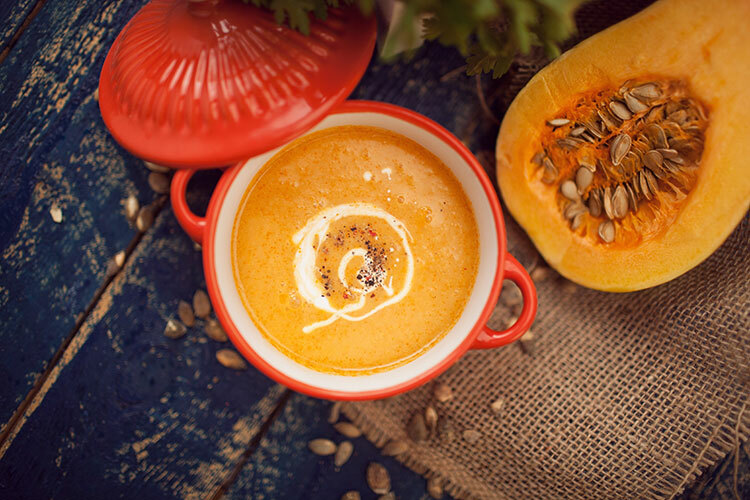 Roasting the butternut squash first really brings out the flavour and gives this soup a deep and fulfilling taste. This rich and spicy soup from Jaqueline’s blog, Tinned Tomatoes, is a great winter warmer on a cold January evening. Satisfying in flavour and extremely low is fat, this soup is a great light alternative to an aubergine bake; perfect for cutting back after Christmas! This recipe from Becca’s blog, Amuse Your Bouche, is simple to prepare and makes for a great filling meal on a cold winter’s evening. 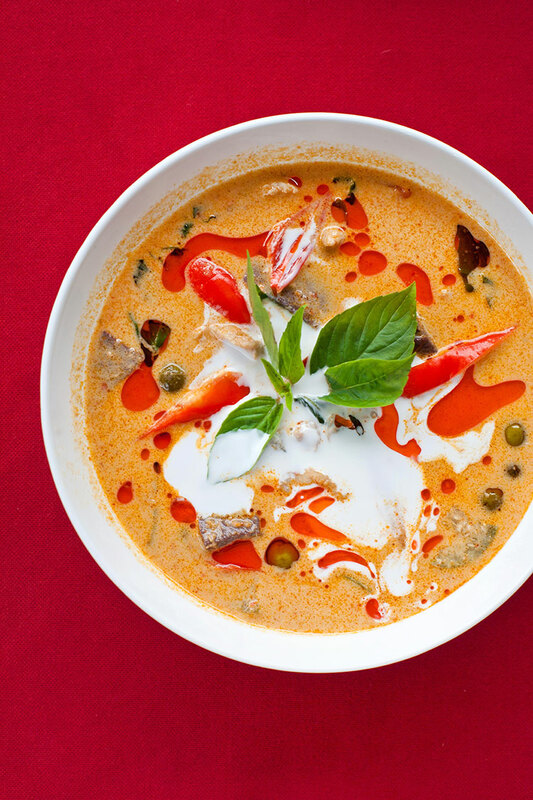 I love the fragrant taste of Thai curry, fresh and light it’s the perfect change if you’ve overindulged on rich flavours during Christmas.